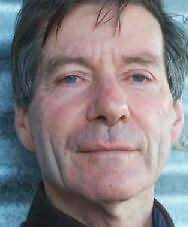 Roger McDonald is the author of seven novels, two works of non-fiction, and a number of other works. The middle son of a Presbyterian minister, Hugh Fraser McDonald, and a historian, Dr Lorna McDonald, his childhood was spent in the NSW country towns of Bribbaree, Temora, and Bourke, before the family moved to Sydney. He attended The Scots College and the University of Sydney.